This book draws on extensive fieldwork among Muslims in Nepal to examine the local and global factors that shape contemporary Muslim identity and the emerging Islamic revival movement based in the Kathmandu valley. Nepal's Muslims are active participants in the larger global movement of Sunni revival as well as in Nepal's own local politics of representation. The book traces how these two worlds are lived and brought together in the context of Nepal's transition to secularism, and explores Muslim struggles for self-definition and belonging against a backdrop of historical marginalization and an unprecedented episode of anti-Muslim violence in 2004. Through the voices and experiences of Muslims themselves, the book examines Nepal's most influential Islamic organizations for what they reveal about contemporary movements of revival among religious minorities on the margins--both geographic and social--of the so-called Islamic world. 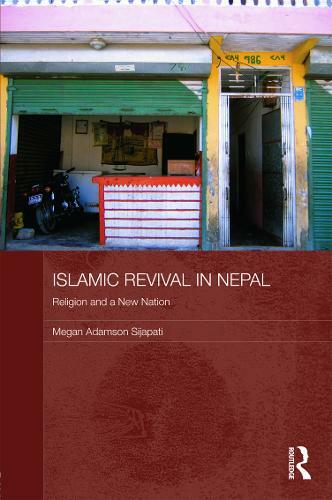 It reveals that Islamic revival is both a complex response to the challenges faced by modern minority communities in this historically Hindu kingdom and a movement to cultivate new modes of thought and piety among Nepal's Muslims.